Here are my Top 10 tips for crowdfunding comics using platforms like Kickstarter and Patreon. But before we get into my Top 10 tips, I’ll give a quick recap of my history with crowdfunding platforms. Australian Cultural Fund (ACF) campaign (2016): A$10,000. In short, I have decided to swap from ‘one-off’ crowdfunding campaigns to an ongoing Patreon campaign because of the way that recurring crowdfunding matches the rhythms of my comics’ creation. As you can see, I have earned far more income from Patreon than from those other one-off campaigns. The approach is working, although I still not quite at my ‘minimum viability’ financial goal of US$2,100 per month, let alone anything higher. Tip #1: Crowdfunding supporters mostly donate because they like helping artists. This might seem like an obvious statement, but it is worth thinking about deeper. The primary motivation for donors is usually the deep human desire to help an artist who is creating positive work. Importantly: other trinkets offered as rewards—postcards, tea towels, books, etc—are secondary motivators. 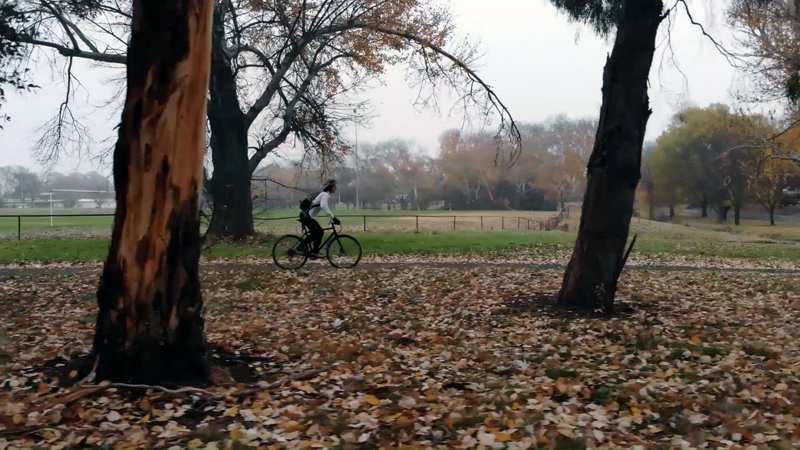 Above: screenshot from my third 2018 crowdfunding video, showing me riding my bike to work. Above: screenshot from my third 2018 crowdfunding video, showing me parking my bike upon arriving at work in the morning. In my case, I publish comics stemming from my environmental and social convictions. My crowdfunding supporters see a little piece of themselves in me. They endorse my worldview, and want me to prosper. Think about how this applies to you and your cartooning. What about your sense of humour, your political stripes, or your aesthetic appeals to your readers? Translate that audience-artist connection into a fundraising link. 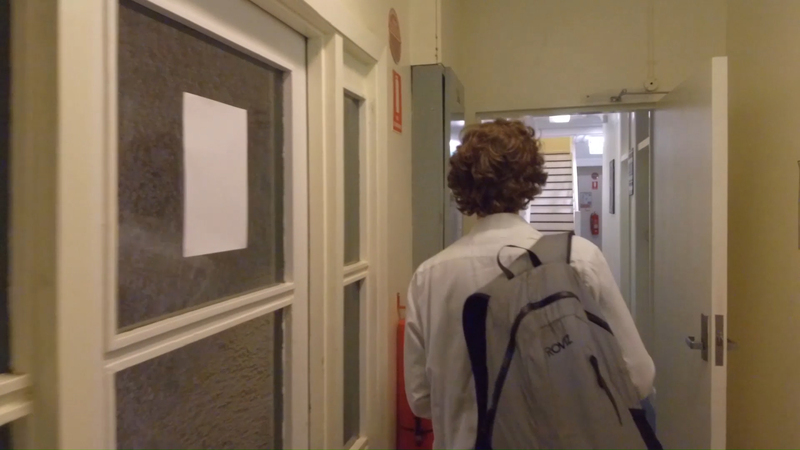 Above: screenshot from my third 2018 crowdfunding video, showing me walking down the hallway upon arriving at work in the morning. 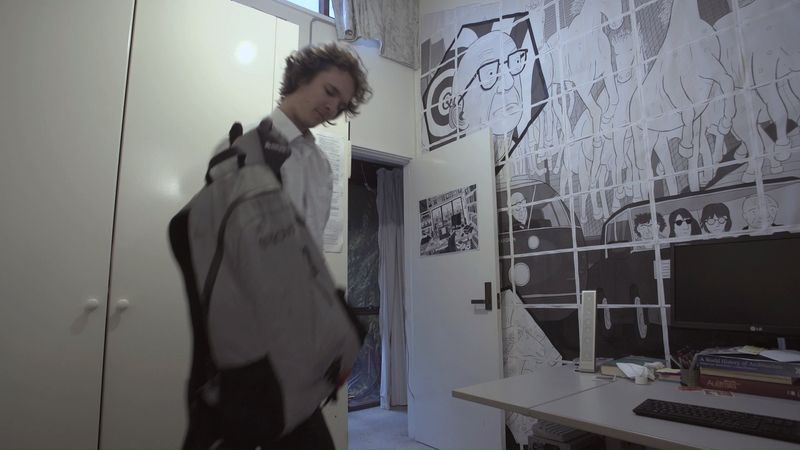 Above: screenshot from my third 2018 crowdfunding video, showing me arriving into my office and unpacking in the morning. 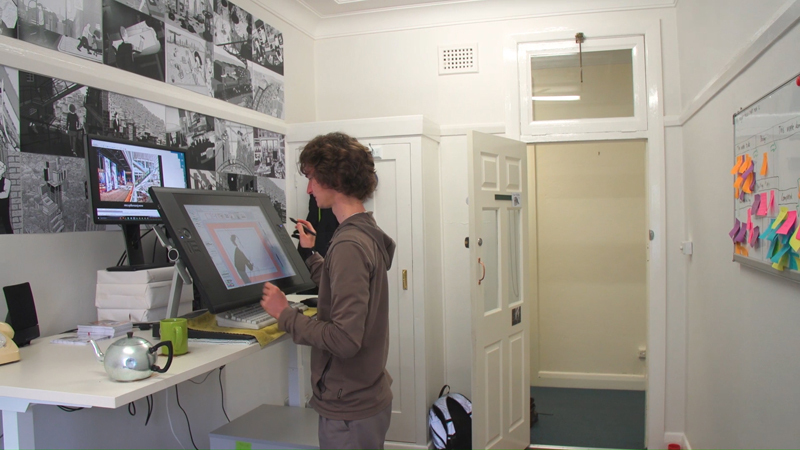 Tip #2: Cartoons and comics are uniquely suited to crowdfunding. We cartoonists have two opportunities to connect with our audiences. Firstly, every cartoonist has a personal artistic style, distinctive and idiosyncratic, which is instantly-recognisable to our readers. Secondly, the ‘person behind the artwork‘ is equally compelling to our readers. Readers are fascinated by the interesting creatures who create their favourite cartoons! If they like the cartoons, they will seriously consider helping the cartoonist who produces the artwork that they enjoy so much. And vice-versa. 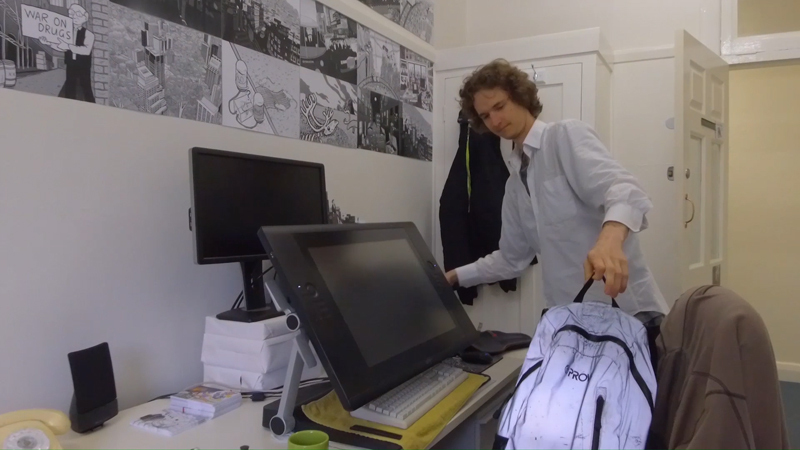 Above: screenshot from my third 2018 crowdfunding video, showing me working in my art studio using a standing desk. Tip #3: Overcome the fear of asking for help. Most people never reach out and ask for help. Instead, we sit around and hope that things will magically work out. Australians are often particularly hesitant when it comes to fundraising. Fearing ‘tall poppy syndrome’, we shy away from asking. I, too, baulked at asking for help prior to my first crowdfunding campaign in 2012. But I went ahead and asked anyway. To my delight, 117 of my readers donated to the campaign. Put yourself in the shoes of your audience. Realise that your audience wants you to succeed. All that you need to do is ask. It’s not that scary after you’ve done it. So, do it. 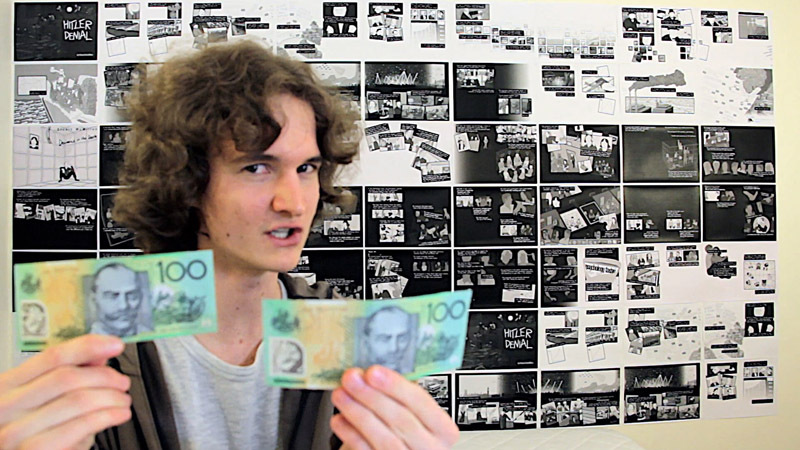 Above: screenshot from my first ever crowdfunding video, which I released in 2012. This was the first time I appeared on camera, and you can see that I was far less polished than today. However, I importantly learned that asking for help isn’t so scary. Tip #4: You are the one responsible for planning and running your crowdfunding campaign. Platforms like Kickstarter, Patreon, and Pozible will gladly host your campaign on their service. But they will do zero promotion work for you. You need to drive the fundraising effort yourself. Consequently, the vast majority of your donors will come from within your existing circles of friends, acquaintances, and readers. Treat it as a happy surprise if random strangers donate to your campaign. But don’t count on it happening. Above: screenshot from the secret 2018 video that I only shared with the 171 people who supported my 2016 crowdfunding campaign. I recognised that this was a special group of existing “customers” who I should treat extra specially, with an acknowledgement that they are already my generous supporters. Tip #5: Do the maths. Your crowdfunding campaign should not be a guessing game. Quite the opposite: you should sit down and list all of the people in your life. For each person on this list, write a dollar estimate of how much you think they will likely to donate to your campaign. Be conservative! Do a similar thing with your audience base. Put numbers on how many people are in your fan base, and then run realistic numbers about how many people are likely to donate $5, $20, $50, etc. Above: screenshot from my first 2016 matched crowdfunding campaign, showing me visually demonstrating the fund-matching offer with two $100 notes. Instead of hiding yourself from the numbers, you need to honestly assess whether or not you are likely to succeed. If these calculations show that you are far from succeeding, you need to reassess whether you should actually launch your proposed campaign. Tip #6: Create a master plan for your crowdfunding campaign before beginning. How many weeks will it last? When will you communicate with your audience? How much will your rewards cost to produce and send? Again, be conservative with your budgeting. Build buffers into your costs and time frames. Pre-plan all of the communication that you will release during your multi-week crowdfunding campaign. Pre-write your email newsletters and press releases. Pre-shoot your videos. You don’t want to play ‘catch-up’ in the middle of you campaign, when the clock is ticking. 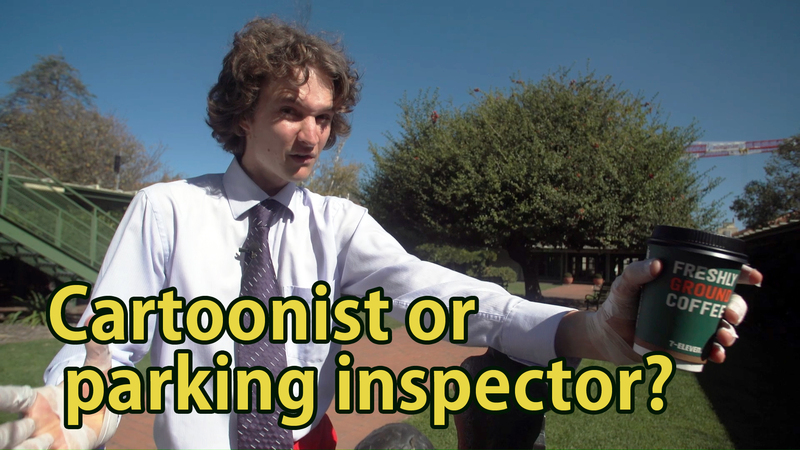 Above: screenshot from my second 2016 matched crowdfunding campaign, which featured a humorous approach in contrast to the more serious first video. Tip #7: Don’t publicly launch a crowdfunding campaign with “$0” as the current pledge total. Understand donor psychology. No one likes being one of the early donors to a campaign. No one gets excited by pledging a donation that will take a campaign from 3% funded to 5% funded. Yawn! On the other hand, people love being one of donors in the later stages of the campaign. They want to be the person who can push you from 93% funded to 95% funded. Now that is exciting! Think about that: how the same donation creates different psychological reactions in the minds of your donors. How do we get around this problem? My biggest tip is to privately ‘soft launch’ your campaign to close friends and supporters before you publicly announce your campaign. Ask them to take you to at least 25% before your campaign begins. In 2016, I encouraged early donations by shooting an informal video that I only shared with my personal friends. In this short video, I spelled out this donor psychology phenomenon, and asked my mates to help me by becoming an early ‘icebreaker’ donor. An alternative is offering extra goodies for the early donors who take you to 50% of your target. Mail them handwritten postcards, or similar nifty gifts. 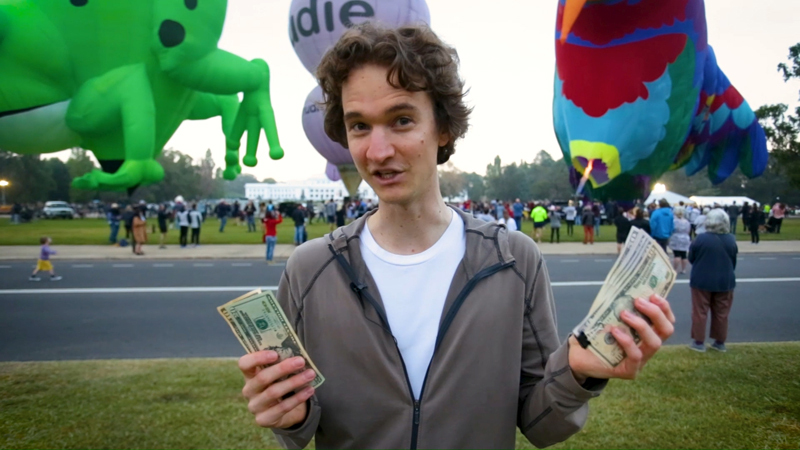 Above: Screenshot from my “friends only” crowdfunding video that I used to informally ask my personal friends to become early donors to my 2016 campaign. It worked: my mates got me to 20% funded before I publicly launched my campaign. 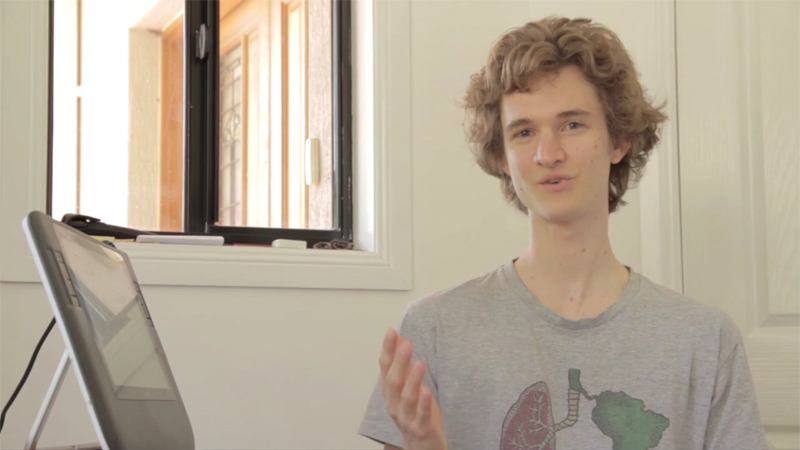 Tip #8: You need a crowdfunding video. Statistically speaking, crowdfunding pages without videos are far less likely to succeed than those with videos. So, don’t fight against the odds: shoot a video. It doesn’t need to be too flash, but it should be competently shot and edited. You, the creator need to appear in the video, as the primary focus. No exceptions! Keep the whole thing well under 3 minutes, and get to the point as soon as possible. If we don’t know your ‘elevator pitch’ within the first 20 seconds, you have failed. Reflect on Tip #1 from this list. Your video should remind your readers of how much they enjoy your art, and make them think about how good they would feel if they became your crowdfunding supporter. Importantly: at the end of the video, remember to directly ask for help, rather than leaving it up to the viewer’s imagination. You would be amazed how many people fail to actually invite the viewer to help them by pledging. Yes, you do need to actually ask the question! Above: screenshot from the first video that I released for my 2018 crowdfunding campaign. 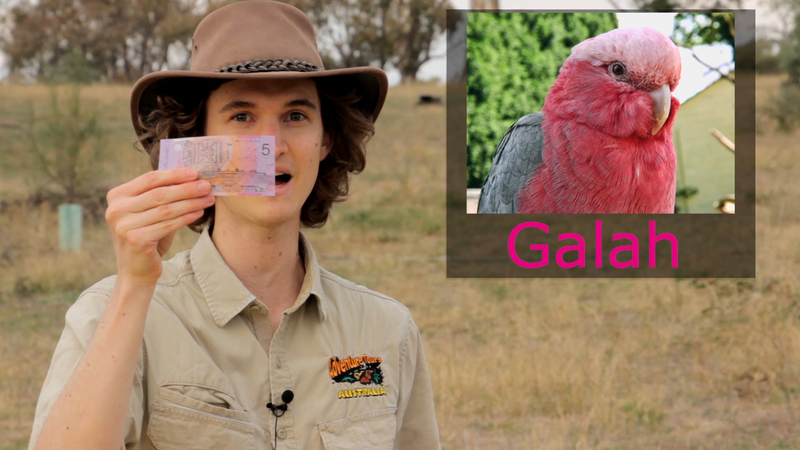 With this video, I straight-forwardly explained the premise of my campaign, with a colourful backdrop. Tip #9: You need to re-boot your marketing material in the middle of the campaign. Here is more Donor Psychology 101: you need to ask people multiple times before they will decide to act. Keep mentioning and re-mentioning your crowdfunding campaign. But, remember that no one will watch a video more than once. Think of creative ways that you can revive your marketing materials midway through your campaign. I recommend multiple videos, staggered through a crowdfunding campaign. Change the tone from ‘serious’ to ‘silly’. Change the backdrop from ‘indoors’ to ‘outdoors’. Anything to make the person decide to watch your new, updated video. Eventually, after multiple exposures, the person will hopefully finally decide to pledge a donation. 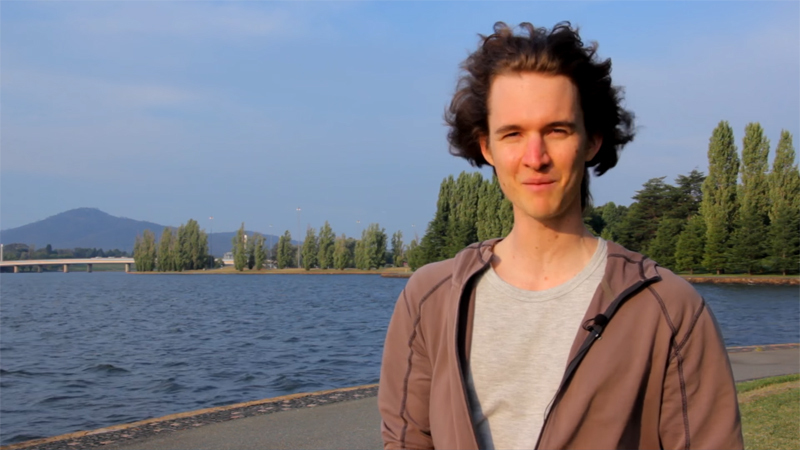 Above: screenshot from the second video that I released for my 2018 crowdfunding campaign. This was my deliberate attempt at humour, and is the video that most people mentioned when they described their decision to donate. Tip #10: Steal good ideas from other crowdfunding pages. 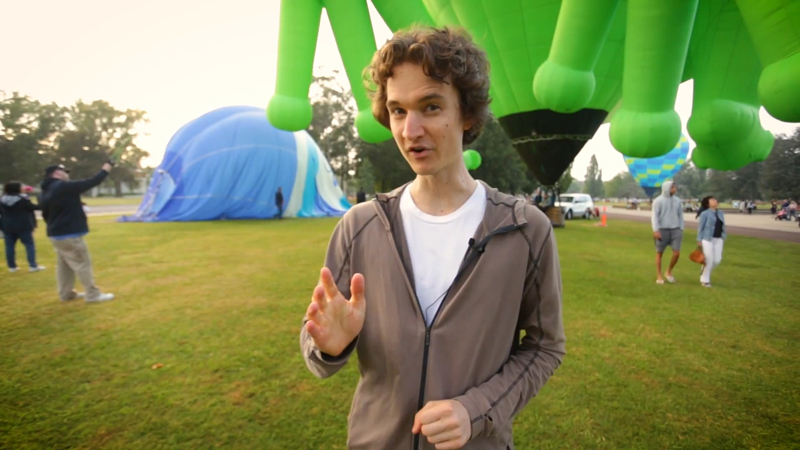 Have you seen a good crowdfunding video? Seen a great blurb? Analyse the underlying reasons why you think they are successful…and then steal them for yourself! You might as well borrow ideas from the best. After all, if it appeals to you, it will likely also resonate with others. This article originally appeared in the Austrlian Cartoonists Association‘s Inkspot magazine: Issue 81, in autumn 2018.